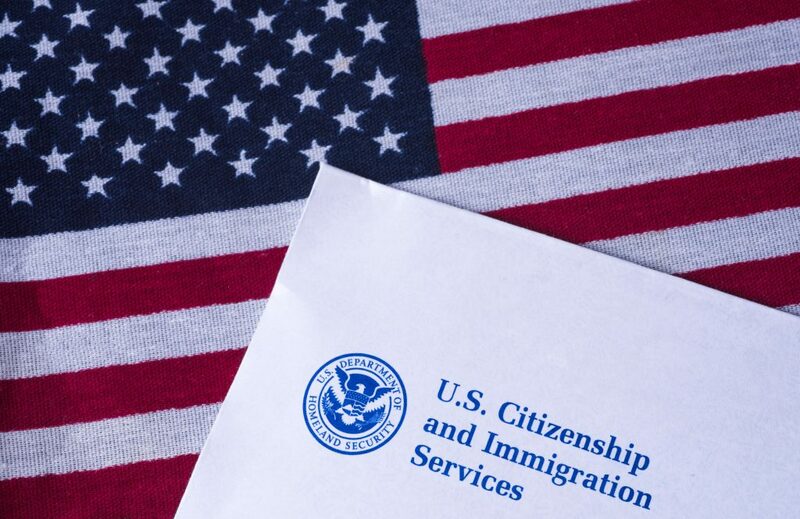 Francis Cissna, Director of the United States Citizenship and Immigration Services (USCIS), unveiled a new mission statement for the agency last week, notably deleting the words “a nation of immigrants” as well as other key principles central to the agency’s work. Given the sweeping changes underway in the enforcement and adjudication of immigration laws, changing a few words here and there in a mission statement—something that is not mandated by law—may seem trivial. But for USCIS, the prior mission statement was a touchstone of the why and the how, informing both employees and the public of the core values driving the work of the agency. Removing references to a nation of immigrants, the promotion of citizenship, and customer service cuts the heart out of the agency. The new version lacks context, as it no longer grounds the agency’s work in the history of our country. There is no vision connecting the past to the present or to the future. There is no mention of the important role USCIS plays in promoting and celebrating citizenship. There is also a deliberate elimination of the reference to serving “customers,” purportedly to avoid treating immigration adjudications as a mere commodity. Yet USCIS was created in part because of the feeling that applicants were ill-served by the Immigration and Naturalization Service, with abysmal backlogs and a lack of information and transparency. Moreover, it is hard not to think of the petitioners and applicants as customers, since the agency is almost entirely funded by fees paid by these people, who simply want efficient and fair treatment—like most customers everywhere. The previous statement spoke to American values; the new statement turns inward, suggesting protectionism and isolationism. “America’s promise as a nation of immigrants” links today’s immigrants—the dreamers, the persecuted, and the hopeful—to those who came before them and created the nation as it is today. It reminds the public and USCIS staff that the agency doesn’t just adjudicate benefits, it transforms lives. Unfortunately, these changes come as no real surprise and are in line with the ongoing, antagonistic rhetoric the Trump administration has used to pit “Americans” against immigrants. From day one this administration has stirred up fear and resentment, warning Americans of the inherent danger that lies in immigration. This move by USCIS is merely a continuation of the hostile rebranding this administration has undertaken around immigration. The fact is, USCIS is the only immigration agency within the Department of Homeland Security that is charged with granting humanitarian protections, like refugee and asylum status, promoting citizenship, and processing family and employment-based applications for lawful permanent residents. Sadly, this move sets the stage for viewing would-be refugees, asylum seekers, and green card holders as threats rather than new Americans. USCIS is, at its heart, in the business of creating new Americans, and if it forgets that, then it forgets a critical part of its mission. Moreover, immigrants and visitors from abroad have choices, particularly the students, scholars, and high-skilled workers that bring ideas, energy, and dollars into the U.S. economy. The United States has much to lose when it alienates potential citizens and visitors. This new mission statement sends yet another signal that the United States isn’t really that interested in welcoming newcomers or visitors to its shores. USCIS employees need to hold on to that vision, which places their work in the greater arc of history, rather than the sterile words offered up last week. Mary Giovagnoli, Esq. served as Deputy Assistant Secretary for the Department of Homeland Security from 2015 to 2017 and worked for legacy Immigration and Naturalization Service and U. S. Citizenship and Immigration Services from 1996 to 2008.